As your mother or other caregiver likely told you as a child, just because you can do something, doesn’t mean you necessarily should. So, given last week’s news that Apple has obtained a permit to test drive three autonomous cars on public streets and highways in California, the existential question that now faces the company’s Project Titan car effort is, should they build it? Of course, the answer is very dependent on what “it” turns out to be. There’s been rampant speculation on what Apple’s automotive aspirations actually are, with several commentaries suggesting that those plans have morphed quite a bit over the last few years, and are now very different and perhaps more modest than they originally were. While some Apple fans are still holding out hope for a fully-designed Apple car, complete with unique exterior and interior physical design, a likely electric drivetrain, and a complete suite of innovative software-driven capabilities—everything from autonomous and assisted driving features, the in-vehicle infotainment (IVI) system, and more—other observers are a bit less enthusiastic. In fact, the more pragmatic view of the company creating autonomous driving software for existing cars—especially given the news on their public test driving effort—has been getting much more attention recently. Regardless of what the specific elements of the automotive project turn out to be, there remains the philosophical question of whether or not this is a good thing for Apple to do. On the one hand, there are quite a few major tech players who are trying their hands at autonomous driving and connected car-related developments. In fact, many industry participants and observers see it as a critical frontier in the overall development and evolution of the tech industry. From that perspective, it certainly makes sense for Apple to, at the very least, explore what’s possible, and to make sure that some of its key competitors can’t leapfrog them in important new consumer technologies. In addition, this could be an important new business opportunity for the company, particularly critical now that many of its core products for the last decade have either started to slow or are on the cusp of hitting peak shipment levels. Bottom line, Apple could really use a completely different kind of hardware hit. The prospect is particularly alluring because some research conducted by TECHnalysis Research last fall shows that there is actually some surprisingly large pent-up demand (in theory at least) for an Apple-branded car. In fact, when asked about the theoretical possibility of buying just such an automobile, 12% of the 1,000-person sample said they would “definitely” buy an Apple car. (Note that 11% said they would definitely buy a Google-branded car.) Obviously, until such a beast becomes a reality, this is a completely speculative exercise, but remember that Tesla currently has a tiny fraction of one percent of car sales in the US. If it doesn’t make sense or seem feasible to offer just a portion of an automotive experience and if doing a complete branded car seems out of reach, what other options are left? 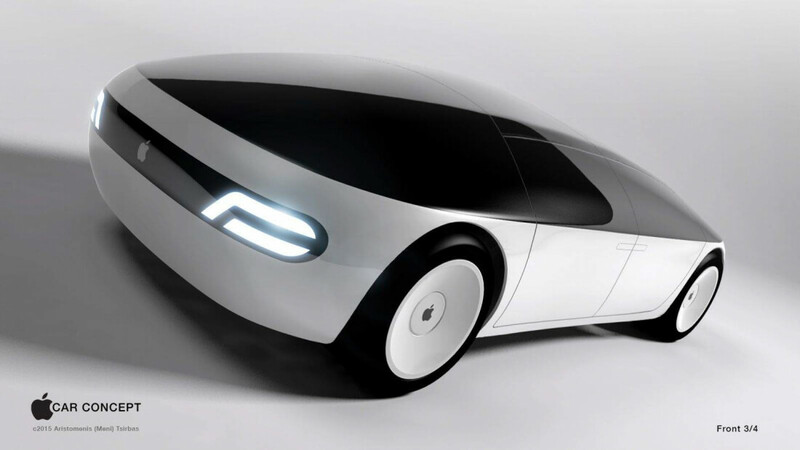 Look at the possibility of an Apple car from another perspective, however, and a number of serious questions quickly come to mind. First, is the fact that it’s really hard to build and sell a complete car if you’re not in the auto industry. From component and supplier relationships, to dealer networks, through government-regulated safety requirements, completely different manufacturing processes, and significantly different business and profitability models, the car business is not an easy one to successfully enter at a reasonable scale. Sure, there’s the possibility of finding the auto equivalent of an ODM (Original Device Manufacturer) to help with many of these steps, but there’s no Foxconn equivalent for cars in terms of volume capacity. At best, production levels would have to be very modest for an ODM-built Apple car, which doesn’t seem like an Apple thing to do. Speaking of which, the very public nature of the auto business and the need to reveal product plans and subject products for testing well in advance of their release is also very counter to typical Apple philosophy. Similarly, while creating software solutions for existing car makers is technically intriguing, the idea of Apple merely supplying a component on products that are branded by someone else seems incredibly unlikely. Plus, most car vendors are eager to maintain their brand throughout the in-car experience, and giving up the key software interfaces to a “supplier” isn’t attractive to them either. Theoretically, Apple could come up with some type of co-branded partnership arrangement with a willing major car maker, but again, does that seem like something Steve would do? There’s no doubt Apple has the technical ability and financial wherewithal to pull off an Apple car if they really wanted to, but the practical challenges it faces suggest it’s probably not their best option. Only time will tell.